The Diplôme d’études en langue Française (DELF) is an internationally recognized proficiency exam from France. It is based on the Common European Framework of Reference (CEFR), which defines language proficiency along six global levels: A1, A2, B1, B2, C1, and C2. At each level, proficiency is measured across four competencies: listening, speaking, reading, and writing. The French Ministry of National Education awards a diploma to successful candidates. In the UGDSB, we value second language learning and want to encourage students to continue their French studies to Grade 12. It is known that second language learning increases mental flexibility and improves problem-solving skills. Learning a second language is a lifelong process that develops pride, a sense of accomplishment and self-confidence. Twice a year, the UGDSB offers students the opportunity to participate in the DELF. Students are eligible during the semester in which they are enrolled in a Grade 12 FSL course. The UGDSB offers students a choice of three test levels: A2, B1 or B2. Students should choose their level with the help of their FSL teacher. The DELF is an optional opportunity and it is up to the student to prepare for the examination through individual daily practice. Why should your child take the DELF scolaire examination? The DELF examinations are an opportunity for high school students to demonstrate their French-language skills and to be rewarded for their hard work at school. 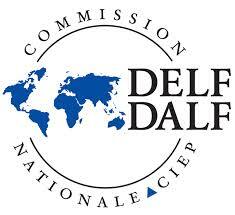 The DELF examinations are recognized around the world. In addition to personal satisfaction, the DELF represents official proof of your child’s French-language skills in a way that Francophone universities, French grandes écoles, and future employers can appreciate. Each competency area is evaluated individually by a team of teachers who are trained DELF examiners who volunteer their time on the day of testing. Successful candidates must receive a score greater than 5% in each category, with an overall score of 50%. Evaluation is according to international standards set by the Centre International des études pédagogiques. Registration for the DELF is done online. To register for the test, click on this link and follow the directions. Registration is limited and restricted to students in their final Grade 12 French course. Payment is required in order to complete the registration.